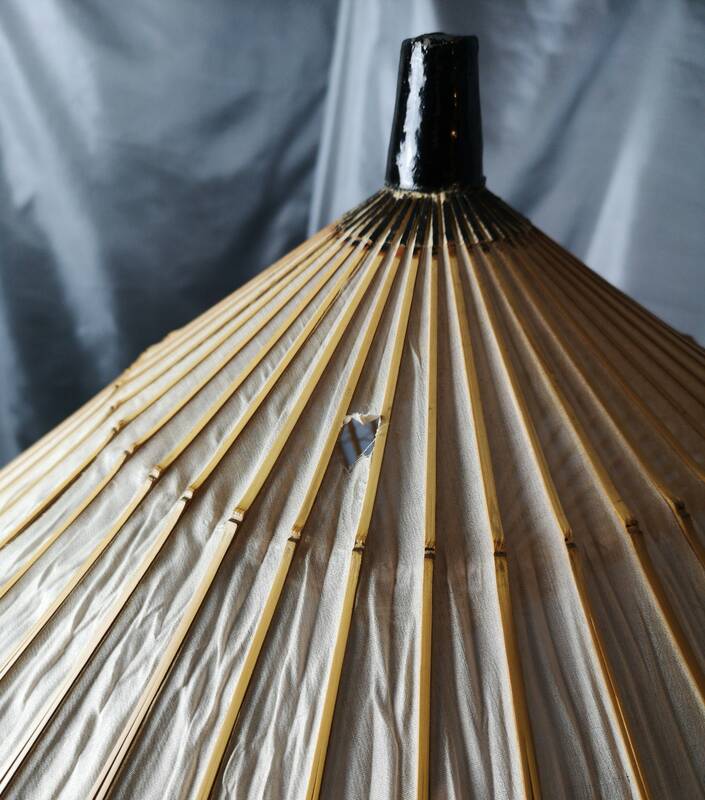 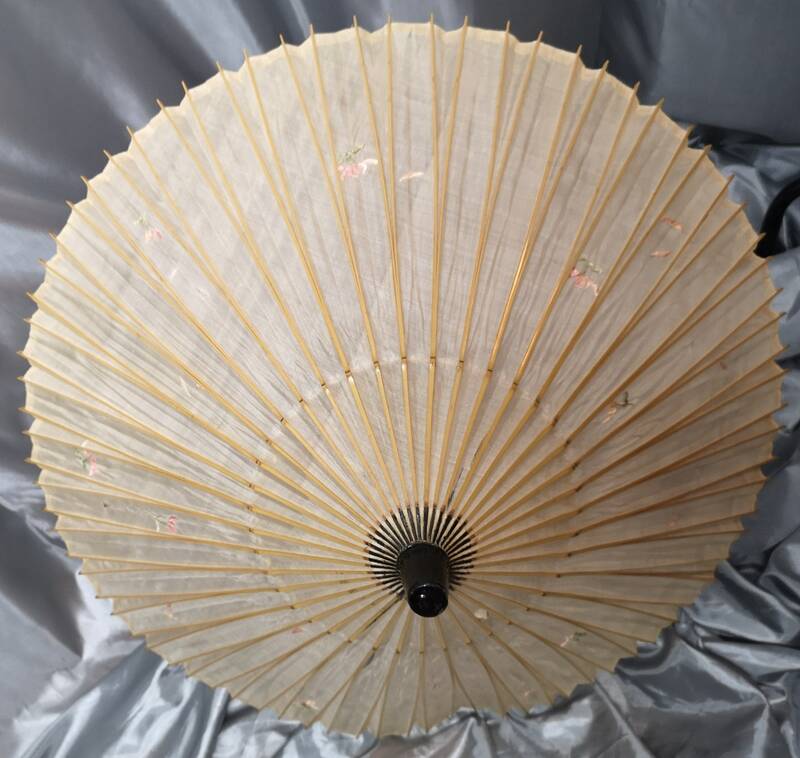 A very fine antique Chinese parasol. 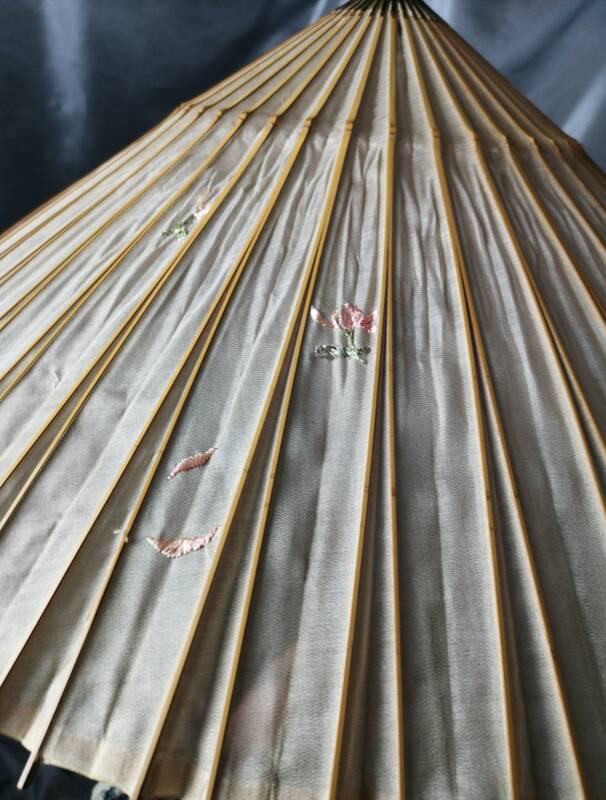 It is made from beautifully embroidered beige silk, the panels delicately embroidered with a small floral spray. 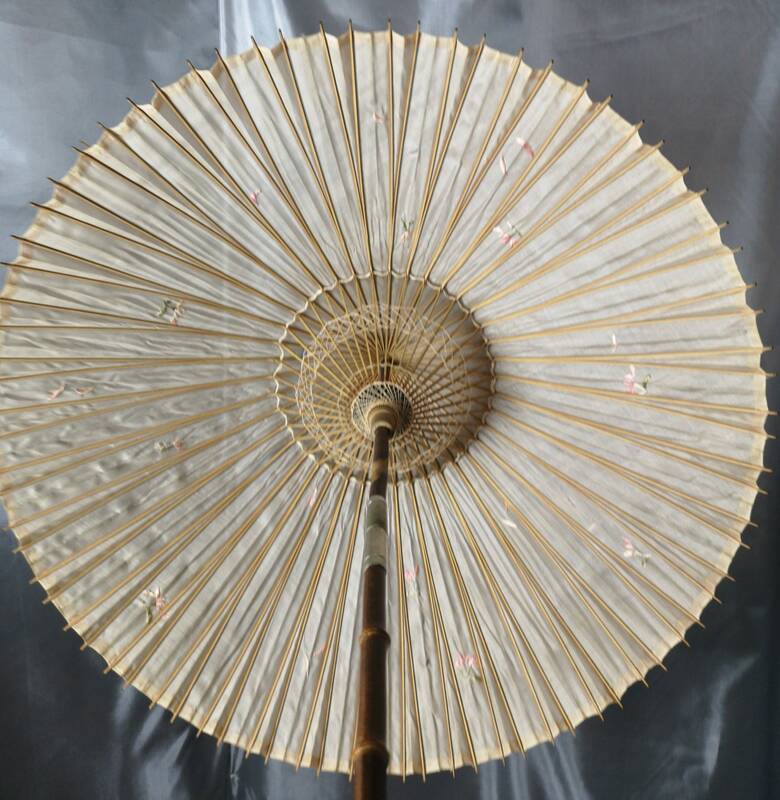 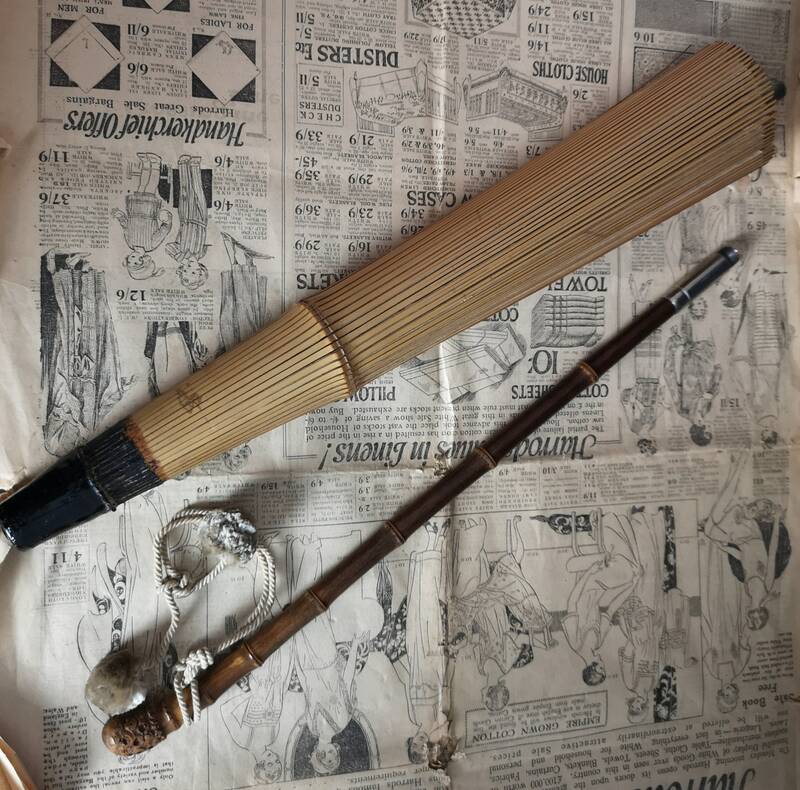 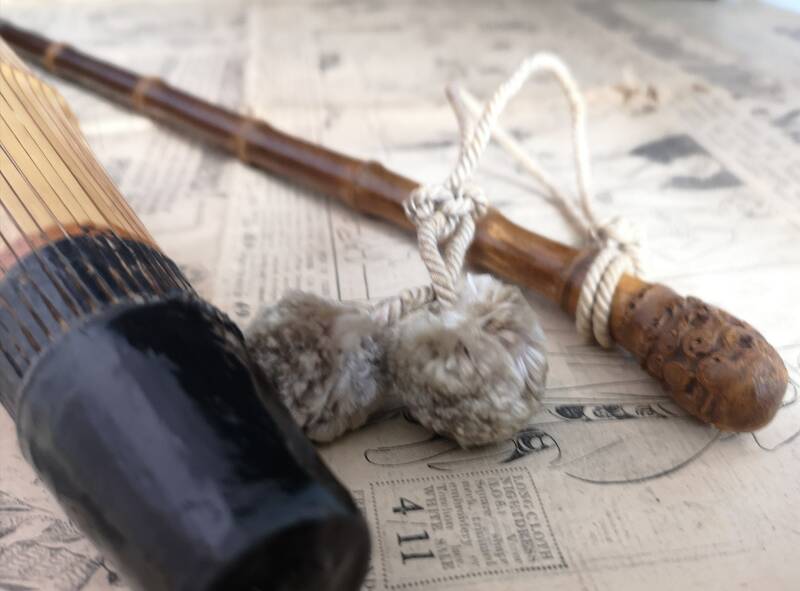 The sticks are an unfinished bamboo and the parasol is a two piece with a screw in handle. 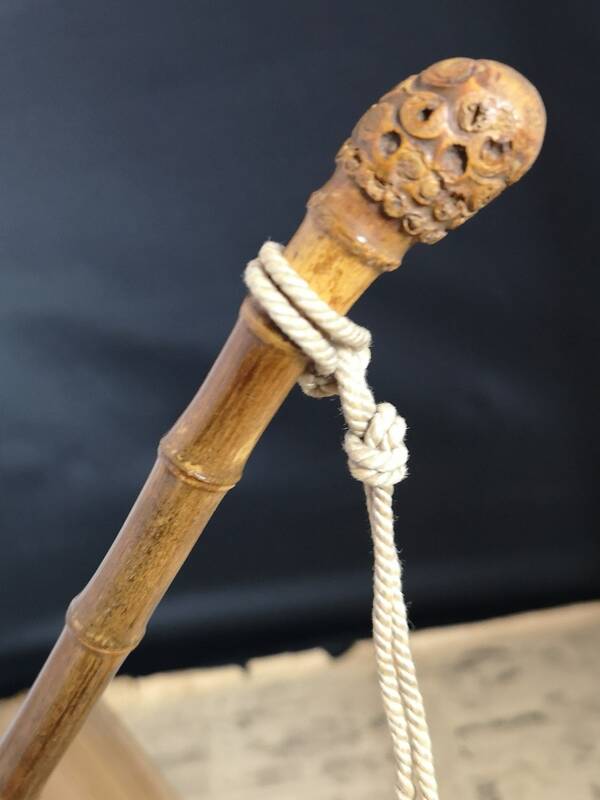 The lower part of the handle is profusely carved and polished bamboo with tassles added. 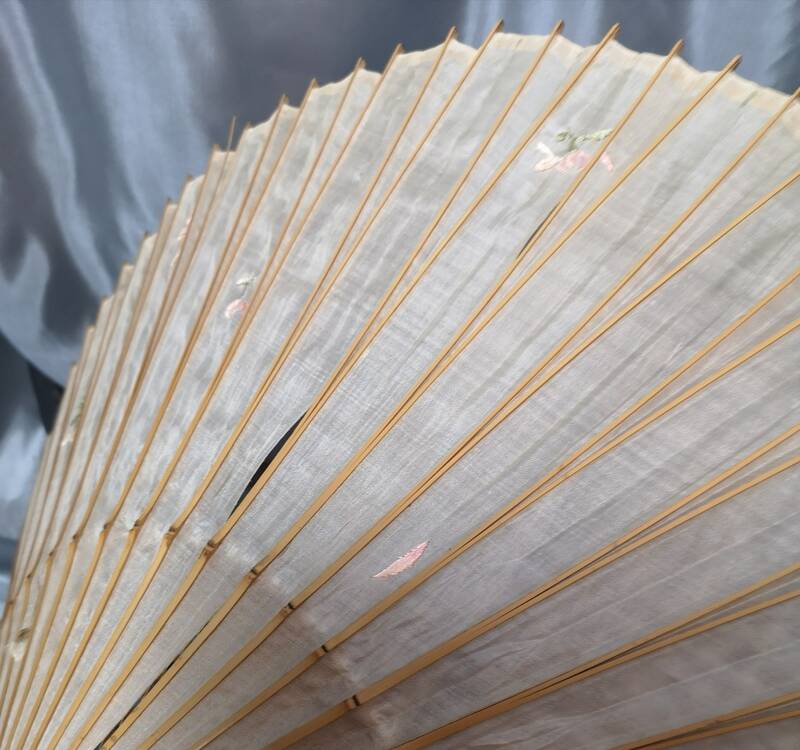 There are some tears in the silk, it is very fine and fragile, the outer is lacquered and it comes with the original jute sleeve to keep it protected. 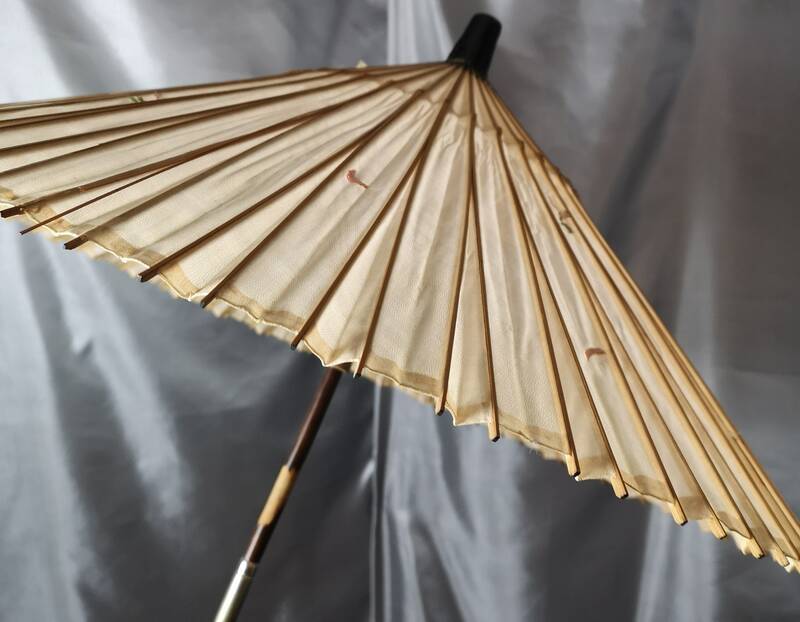 Good overall but with some tears in the silk.